Those of you who know me fairly well may or may not remember that I love Shrinky Dinks. They're these plastic papers that you can color, cut out and shrink in the oven. In the end they look kind of like stained-glass...but more like stained plastic. 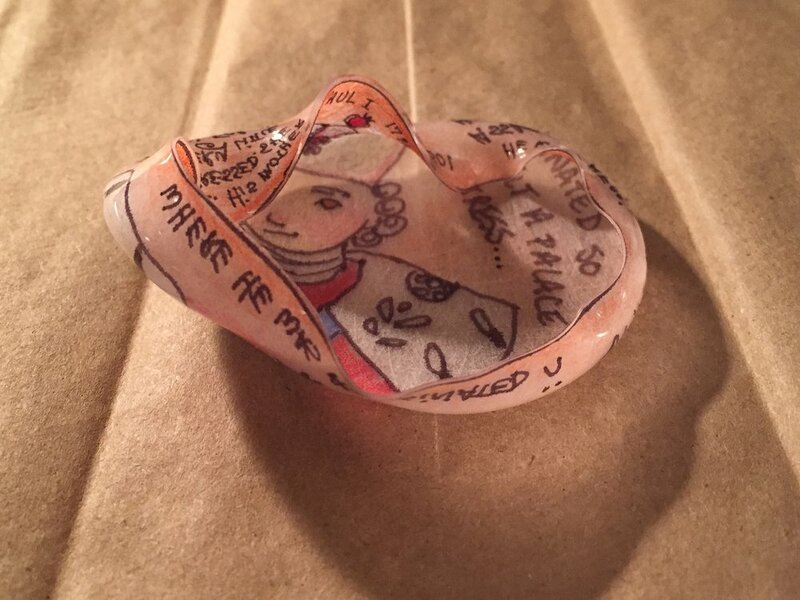 Anyway, they've been around a long time and if you ever find them in a store you'll see that the Shrinky Dink company has clearly spent zero dollars on packaging design in the last forty years or so. A few years ago I found this amazing book on the Russian Czars and naturally I decided to put that history into Shrinky Dink format. I told the history from the time of Catherine the Great until…I can't remember which Czar I ended with. I think I stopped when I lost interest, or maybe when I realized there was absolutely no reason to shrinky dink the czars. I remember watching Paul the First shrink in the oven, and as he shrunk I told my kids his very sad story. Poor Paul the First was the son of Catherine the Great, and she was not impressed with him. She didn't let him make any decisions himself. He didn't even get to decorate his own castle (but he did have a castle, so we can't feel too sorry for him). When Paul grew up he became riddled with fear that he would one day be assassinated—not a groundless fear since LOTS of his predecessors had been assassinated. So He came up with a plan. He built a castle fortress with big drawbridges and he and his family and his most trusted advisors closed themselves inside. Paul was safe at last! Until maybe a day later when his most trusted advisors assassinated him. Poor Paul the First!! I can relate to Paul. Sometimes I long for a fortress. A place to hide. The idea of somehow locking all the bad stuff, and even the unknown, outside sounds wonderful. And in various ways I do arrange my life carefully, trying to make a fortress that will work. But over and over again my carefully crafted fortresses fail me. They don't fail all the time, but they all fail sometimes. And a fortress that fails sometimes is not good enough. God is the only one who never fails. I definitely don't mean that He always does what I want. He doesn't always rescue me from pain, like the fortress me and Paul the First had in mind, but He does rescue me from fear. And He gives me courage so that I don't have to hide while life passes me by.